This company recently released Q2 2018 results. It is a leader amongst its peer group. The company's dividend policy was amended in 2012 which results in the payment of 'special dividends' in addition to its regular quarterly dividends. Investors who rely exclusively on stock screeners could end up overlooking this company depending on the search parameters used in the stock screener. This is because stock screeners exclude 'special dividends' in their 'dividend yield' search field. Stock screeners have shortcomings which can result in investors overlooking opportunities. This company was founded in 1898 but only went public in 2002. It operates in a highly competitive industry and faces considerably regulatory scrutiny. Investors seeking to minimize credit risk will likely find this company to be appealing. This stock is certainly not at bargain levels but is not outrageously overvalued given its growth potential. I intend to initiate a position in the ‘side accounts’ in the FFJ Journey Portfolio within the next 72 hours. In today’s article I cover a company which is likely overlooked by many investors. The reason for this is that many investors are seeking a respectable dividend yield and they rely heavily on stock screeners. The drawback with this method of identifying investment opportunities is that the stock screeners report dividend yield on the basis of ‘regular’ dividends and disregard ‘special dividends’. This is why the company analyzed in this article will be excluded from search results if you were to perform a search today and one of your search parameters calls for a dividend yield in excess of 2%. This company instituted a variable dividend policy in 2012 in which it sweeps excess cash to shareholders. 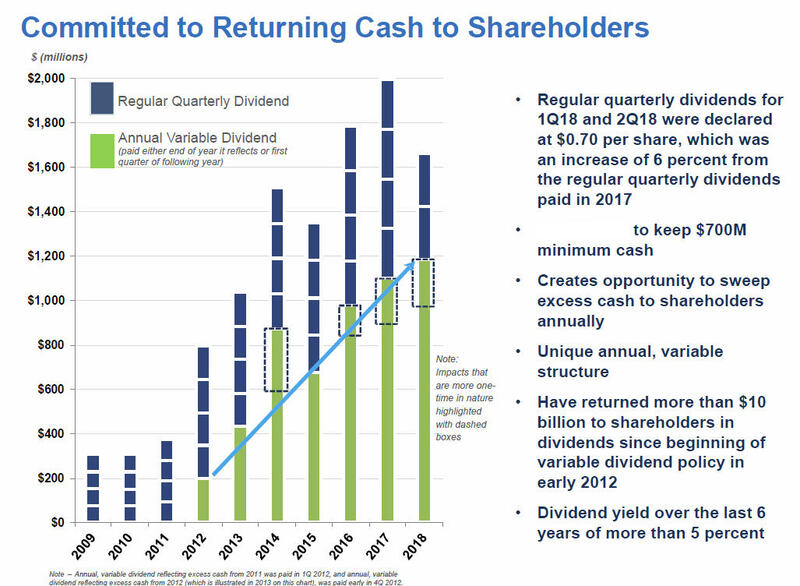 Subsequent to instituting this policy, this company has distributed a ‘special dividend’ per share of $1.9, $2.6, $2, $2.9, $3.25, and $3.5 in FY2012 – 2017. Sometimes you just have to love stock screeners for what they DON’T report! This company operates in a highly competitive and very highly regulated industry. It, however, is far larger than members of its peer group which provides it with competitive advantages. Q2 European average daily volume up 9%. I will readily admit the stock is not inexpensive. It has, however, retraced ~7% from its recent high and is now valued at a level that I consider to be reasonable. I also think it is NOT grossly expensive given its growth potential.